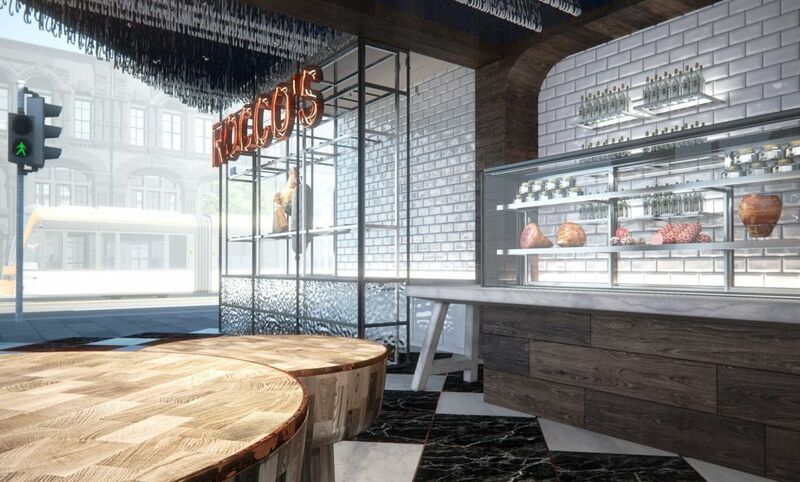 The design concept for Rocco’s is centred around a modern, boutique butcher shop in Vogue Plaza on Chapel Street, Melbourne. 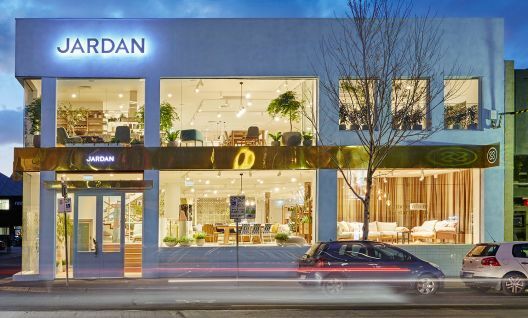 The owners were looking to capture clientele tired of the fast-­food options available at national supermarket chains through quality produce and traditional customer service values. 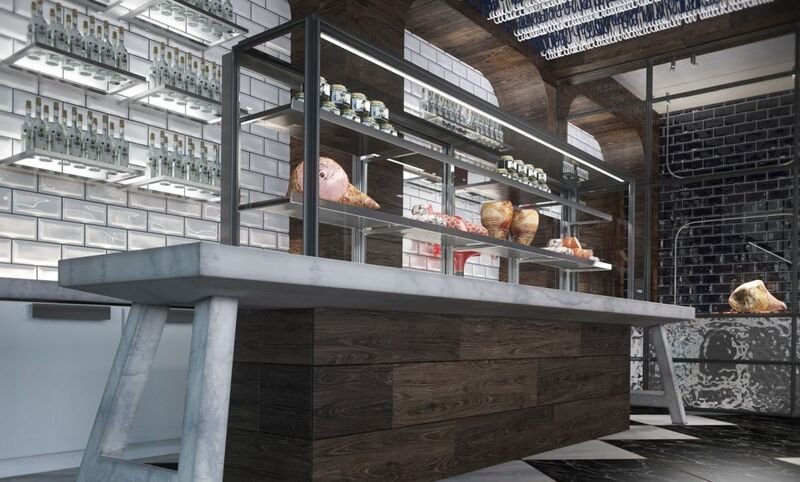 The design and fit-­out take inspiration from traditional butcher trade references. 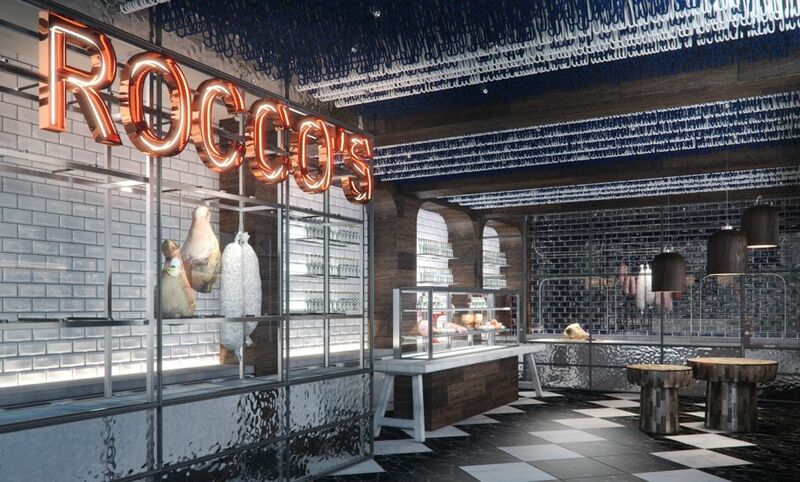 A butcher's blue and white apron stripes represent rank and experience; a range of meat hooks hanging from the ceiling reflect this element and simultaneously function for the owners across different grades of meat. 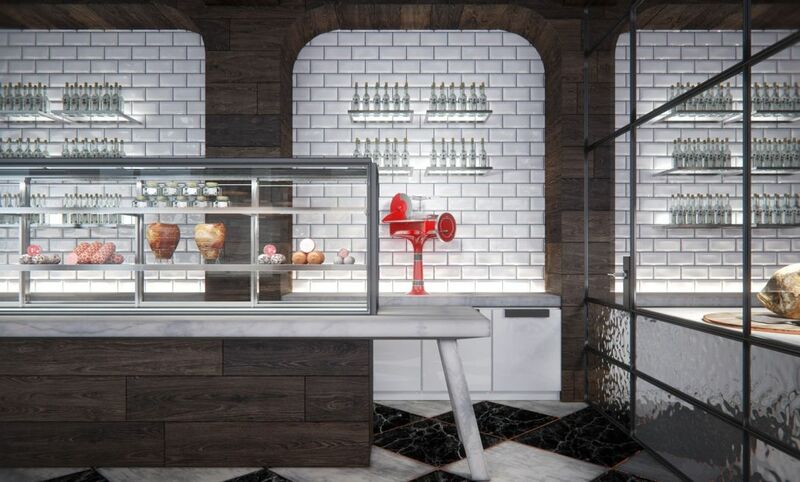 The shopfront is designated to small goods; the central space showcases cuts of meat while the back area functions as the butcher’s service space. 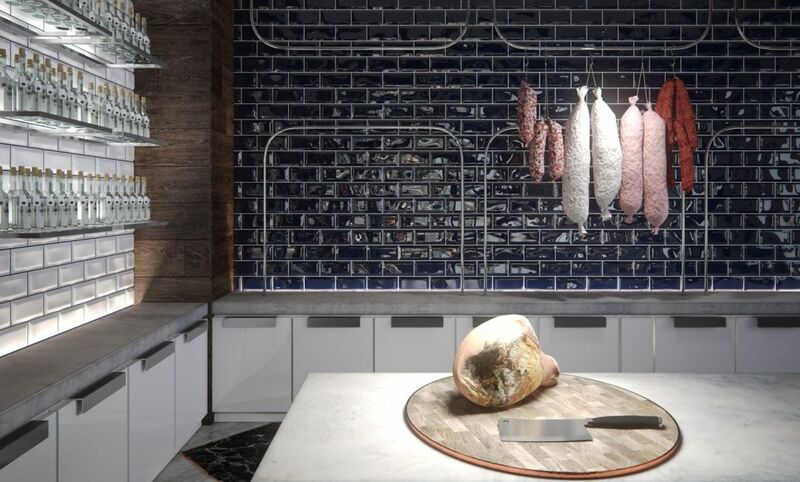 Blue and white wall tiles provide a traditional backdrop for modern, custom turned butchers blocks. Cold cabinets in the shop front display Rocco’s produce under custom turned, timber lights. 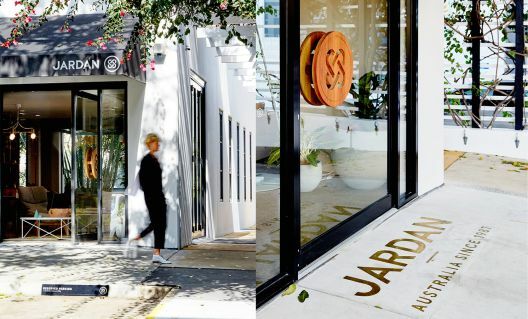 The placement of produce is informed by the level of interaction required with customers, inviting customer exchanges for a personalised service experience. 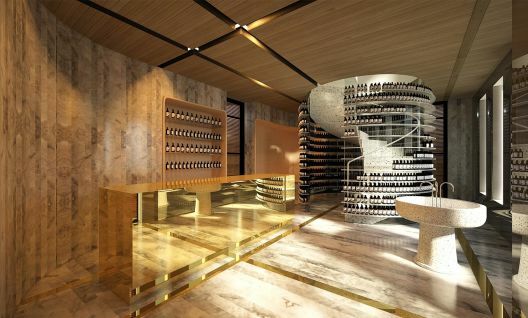 Black and white stone floors feature a brass inlay for a sophisticated finish.